Save...Save...Save... This is a $52.00 savings over the individual bottle price. 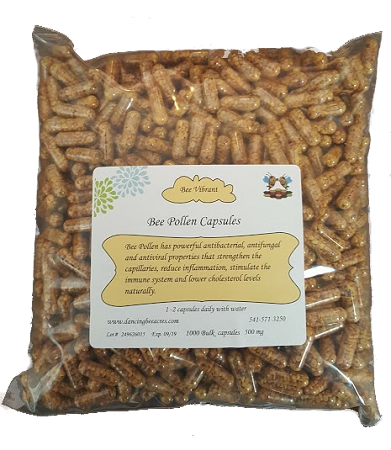 Whole grain pollen capsules 500mg. No fillers or synthetics. More than 40 research studies document the therapeutic effectiveness and safety of bee pollen.